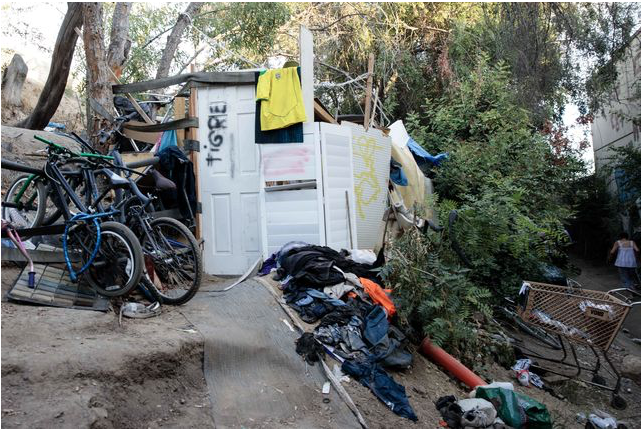 A feature photo of a homeless encampment from Max Sullivan's Sundial article, "Caltrans and law enforcement sweep the homeless out of trails along the 405." Photo courtesy of Max Sullivan. 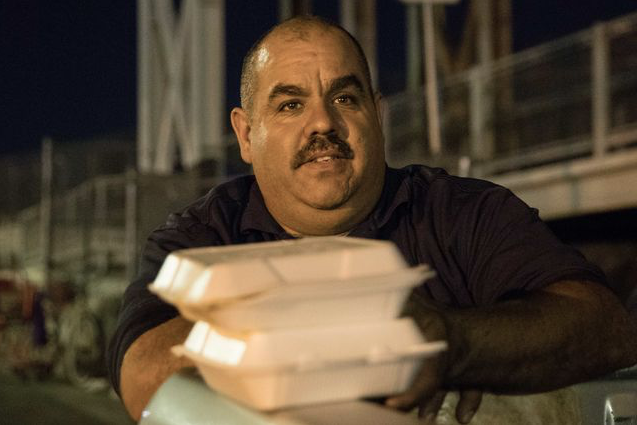 In this feature photo from Max Sullivan's Sundial article, "Caltrans and law enforcement sweep the homeless out of trails along the 405," Manny Flores distributes food plates to the homeless. Photo courtesy of Max Sullivan. 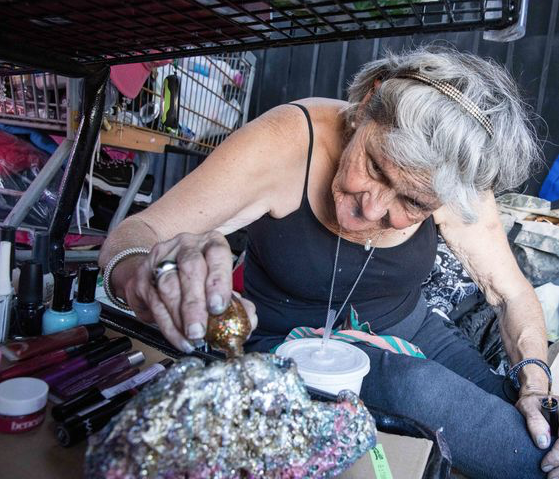 In this feature photo from Max Sullivan's Sundial article, "Caltrans and law enforcement sweep the homeless out of trails along the 405," Lynda Zazanis paints a lava rock with nail polish inside her tent on Aquaduct Avenue near the 405 and Nordhoff. Photo courtesy of Max Sullivan. 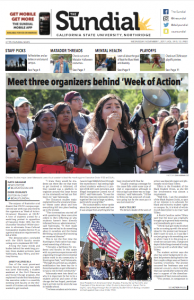 California State University, Northridge student newspaper The Sundial won three prestigious journalism awards in June at the Los Angeles Press Club’s 2018 Southern California Journalism Awards: Best College Newspaper, Best News Website and a third-place win for student photographer Max Sullivan for Best Feature Photo. The Nov. 1, 2017 Sundial issue won the Best College Newspaper from the Los Angeles Press Club. Photo courtesy of Sundial archives. The awards are given annually to student-run publications that have distinguished themselves from the competition. The Sundial won Best College Newspaper for its Nov. 1, 2017, issue, which included various stories on political polarization, cultural studies and student protests on campus. Gretchen Macchiarella, publisher of the Sundial and professor in the Department of Journalism, lauded the CSUN student journalists for their accomplishments. A typical day at The Sundial is a hectic day, said Dede Ogbueze, editor-in-chief and journalism major. From their offices in Manzanita Hall, the students work like bees, constantly producing effective, quality work. Sullivan, senior a double major in journalism and political science, placed third in the Best Feature Photo category for a series of photos he took of a homeless encampment on Nordhoff Street, near the 405 Freeway. His work portrayed the reality of homeless people’s lives during a time when police were escorting them out of their camps. Sullivan said he wanted his photos to change many of the common misconceptions people have about the homeless. The awards have helped bolster The Sundial’s reputation as one of the best student-run newspapers in Southern California.